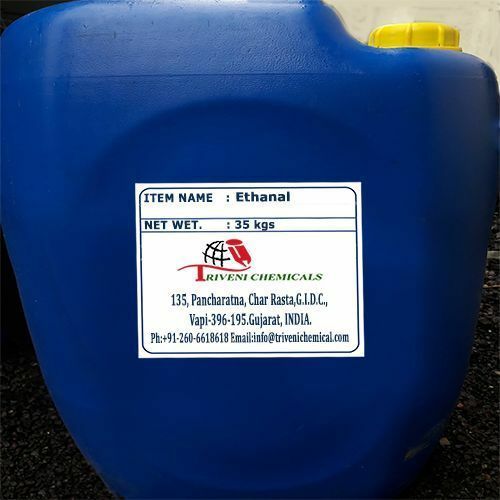 Ethanal 75-07-0 is Colourless liquid. it is also known as Acetaldehyde, Acetic aldehyde, Ethyl aldehyde, Acetylaldehyde. Storage: Keep container tightly closed. Keep container in a cool, well-ventilated area. Waste Disposal: Waste must be disposed of in accordance with federal, state and local environmental control regulations. Manufacturer and exporter of all types of industrial chemicals and chemical formulations such as ammonium fluoride, calcium fluoride, ammonium bifluoride, potassium bifluoride, ammonium fluoroborate and lithium cryolite etc.